At Blinkist, we’ve created a meaningful product that is growing fast. Our blinks – key insights from the world’s best nonfiction – help more than 8 million people around the globe to keep learning new, exciting things each and every day. We've received the United Nations World Summit Award in the Learning & Education category, a Google Material Design Award for Brand Expressiveness, as well as an Android Excellence Award. Blinkist is a digital service with millions of users around the world, and our AWS-powered microservices platform is the backbone of our engineering efforts. We need you to help make this backbone robust and scalable, extend its capabilities, and educate and empower our developers to use it. On top of that, we want to distribute our infrastructure worldwide to provide the best experience to users in every country. 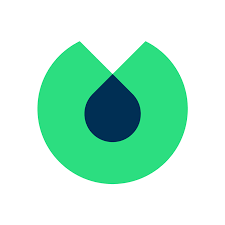 You will join our backend team of 9 and work closely with our current DevOps engineers on designing and implementing the entire Blinkist infrastructure. At Blinkist, we offer a fantastic workplace in the heart of Berlin-Neukölln including all the benefits you’d expect – from a personalized perk system to free private language lessons. Add free lunch, a competitive salary, a personal development budget of 1,500€ per year, flexible working hours, and a meaningful product on the rise, and you have a first impression of why Blinkist is a great place to work. We got rid of classical management hierarchies and, instead, distributed authority among all colleagues. We foster a unique company culture championing self-empowerment, personal development, direct communication and mutual support. Not only do we want you to grow into the role of DevOps, but we want this role to grow with you. If we’ve captured your interest and you want to help us build the leading destination for the modern lifelong learner, apply now and let us know why you’re the perfect fit for the job!